Consider Invisalign treatment to get the beautiful straight teeth you’ve always wanted — without braces. A complimentary consultation with Dr. Walk or Dr. Bamel can determine whether Invisalign clear aligners are right for you. Invisalign® is a customized method of straightening teeth without braces. This process is sophisticated behind the scenes so it can be simple for you. The aligner system is somewhat similar to a dental retainer; each aligner fits over your teeth. The difference is that aligners are made using detailed images of your bite so that consistent, gentle pressure can be applied as needed to shift teeth into alignment. Removable, so it’s easier for you to brush and floss after meals. Easier to keep clean, which makes it easier to maintain the health of your teeth and gums. They are also more comfortable than traditional braces, with no metal or wires, which also usually means you spend less time in our office getting adjustments. Invisalign treatment also allows you to view your own virtual treatment plan when you start, so you can see how your straight teeth will look when your treatment is complete. Invisalign may be an excellent treatment option for teens and adults who have mild to moderate gapping, overcrowding or bite issues. One of the most significant challenges of Invisalign is also the biggest benefit: aligners are removable. Because aligners can be removed, the best candidates for treatment are those who can implement good wear habits. 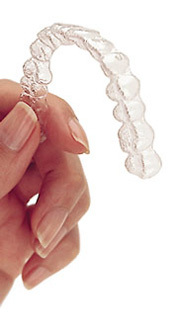 Invisalign works just like braces do but without the hassle. Treatment begins with a thorough consultation, dental exam, and bite assessment. Patients who are good candidates are then screened with a digital scanning system that creates precision 3D images of the teeth. Conventional impressions may also be made. From the data obtained, the dentist develops a step-by-step treatment plan that details the precise movements of teeth to achieve an optimal outcome. Along with impressions and images, the dentist’s treatment plan is sent to the Invisalign lab, where custom aligners are created. Aligners are returned to the office and provided with clear directions on the progression of treatment. Beginning with the first set of aligners, patients will commence with consistent wear for two-week intervals. Aligners are worn at all times except when eating or brushing and flossing. Each set in the series is engineered to apply force in precise areas to progress the movement of teeth. Every six weeks throughout the treatment plan, we perform a progress checkup in the office. Every person is different but it has been estimated that the average treatment plan is completed in approximately 12 months. However, circumstances in which teeth are resistant to movement (deep roots) or misalignment is more severe (turned or overlapping teeth), treatment time may extend up to two years. The duration of treatment is a detail that we estimate and discuss during the initial consultation before you agree to the recommended protocol. Invisalign has become a popular method of straightening teeth. As precise and effective as it is, this system is not appropriate for everyone. Patients with a severely misaligned bite or malocclusion may need conventional orthodontics to achieve the best results. Eating may be one of the best aspects of Invisalign because there are no appliances that inhibit what you can chew. Before a meal, just remove your aligners and put them in a safe place so they do not accidentally get thrown away. After meals, it is beneficial to swish water through the mouth. Brushing too soon after eating could erode enamel, but aligners can be gently brushed or rinsed in cool water before inserting. The advantage of Invisalign that you don’t get with traditional braces is that the treatment program is convenient and comfortable. 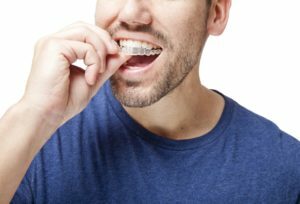 The advantage of traditional braces that we can’t get with Invisalign (yet) is that conventional orthodontia can correct severe bite misalignment. What patients appreciate about the Invisalign system is that they can remove their aligners. This enables patients to eat what they’d like and to brush and floss their teeth without the presence of affixed brackets and wires. Because oral hygiene is not interrupted in any way, there is less risk of dental problems like tooth decay and gum disease. Because aligners are made of clear, durable plastic, patients are also able to see every step of their smile transformation. Aligners are worn for only two weeks at a time. However, it is possible that they can get lost or damaged. Aligners may also become scratched, discolored, and odorous, though this is uncommon. Caring for Invisalign aligners involves rinsing them with cool water before inserting them into the mouth and storing them in a safe place when they are removed for meals and brushing. Invisalign aligners are worn for at least 20 hours each day, and you’ll receive a new aligner every two weeks. The length of your treatment depends on the severity of your case. Treatment can take anywhere from six months to two years. There is no “big reveal” after Invisalign because you’ve watched your transformation as it has occurred. After treatment, you will be fitted with a retainer that will need to be worn at all times for several months. 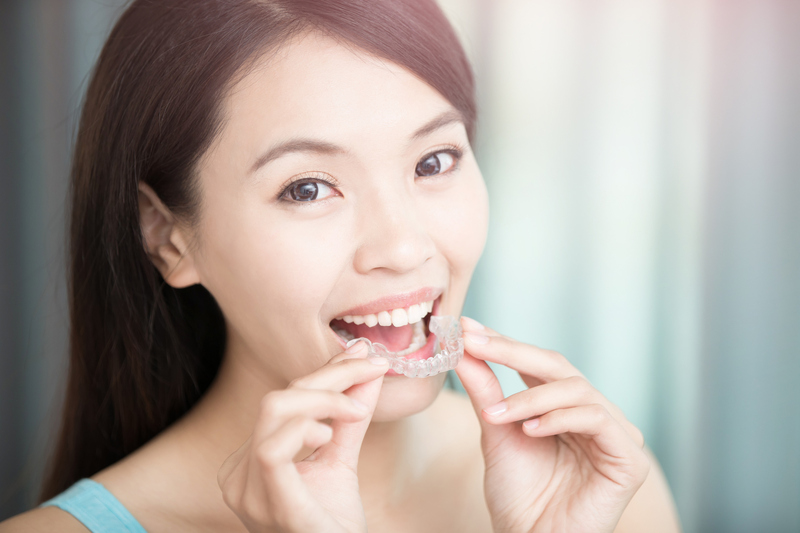 Wearing a retainer is vital to lasting results after Invisalign treatment because teeth will naturally be encouraged to shift back to their previous position until the periodontal ligament settles into a new form. The cost of Invisalign is often comparable to conventional braces and is determined based on the extent of treatment and insurance coverage. At the conclusion of our initial consultation, our treatment coordinator will provide information regarding costs and financing options. If you are interested in learning more about Invisalign clear aligners, contact our office at 617-965-7673 to schedule a consultation today.